Rotorua By Segway, ROTORUA, North Island. Information, Photos and Reviews. 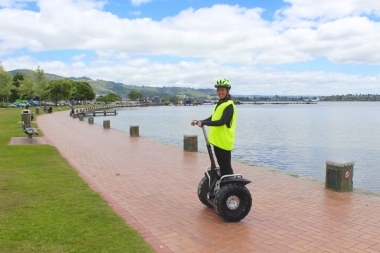 We are a Segway tour company based in Rotorua, New Zealand. 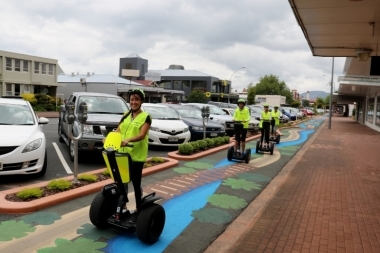 Segway’s are an exciting and unique way to see some of the most iconic sites within the city limits of Rotorua. We offer small personal 2.5 hour fully guided Segway tours to some of this areas world famous thermal activity. 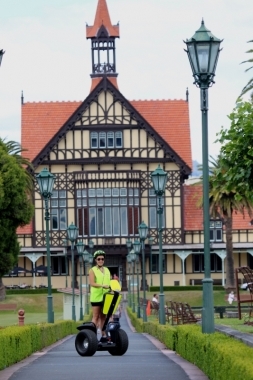 We follow the city’s designated cycleways to bubbling mud pools and steaming lakes, a Maori Cultural Village on the edge of the lake, flowering parks, through the dinning mecca of ‘Eat Street’ and on to the beautiful Government Gardens, with its stunning Bath House & Museum - and so much more in between. We run 2 tours per day at 10 am & 1.30 pm, 7 days a week. We are located just 1 km from downtown Rotorua at Urbano Bistro, where you can enjoy a nice coffee or some lunch before you head out on one of our tours. Every rider is given an introduction to the Segway and a full training session before heading out on their tour. Minimum age is 10 years and weight from 35 - 120 kgs. Fully enclosed shoes are required. Nobody has reviewed Rotorua By Segway yet, Be the first. You are submitting a booking enquiry. 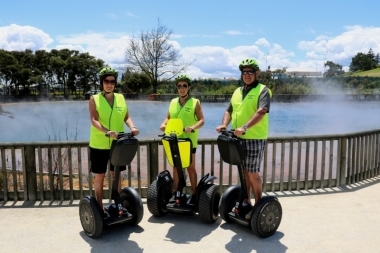 Rotorua By Segway will then contact you by email with details of availability and prices.